Let’s talk about holiday shopping. Yes, I know it’s only mid-October and you’re just now adjusting to all of the Halloween costumes and bags of mini candy. But before you know it turkeys, holiday decorations and holiday flyers will be everywhere. I want you to have a spending plan this holiday. I want it to be well thought out and most importantly, I want it to prevent you from incurring holiday debt that will follow you into 2011. Have you ever had a holiday credit card hangover? Your January credit card bills arrive and your head starts to pound and you start to sweat from the balance due? Too many people come out of the holiday season with holiday debt that makes it very difficult to start off the New Year on your best financial foot. A few simple steps can set you on the right course before those holiday flyers starting hitting your mailbox. Determine your holiday budget. How much can you spend? If you’ve already set aside money in an account take a look at that number again. 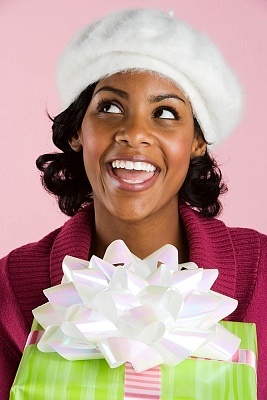 If you haven’t set aside an amount, be honest with yourself about how much you can devote to holiday spending. This number should be what you can actually afford to spend, not what you would like to spend if money were no object. If you lie to yourself at this stage, the rest of the plan will fall apart. Make a list of all the people you need to spend money on: nieces, nephews, best friends, secret Santa, your child’s teacher. What will be pulling on your wallet this holiday season? Write it all down. Determine how much to you can afford to spend on each person listed in step 2. You will need to look at the number you came up with in Step 1 and divvy up that amount among your list. Do not go over the amount you initially allocated. Stick to the budget. This is often the hardest part. Maybe you decided that you’ll spend $50 on your younger sister’s gift but you find the perfect handbag for her and it cost $65. The only way you should purchase that handbag is if you’re willing to spend $15 less on someone or something else. It may not seem like a big deal to break the rules a bit but if you do that several times, you may end up with that dreaded credit card bill staring at you in January. Keep the list close to you. Have it sitting next to you when you’re flipping through sale flyers. Carry it with you when you’re shopping. This will help you stay on track and will remind you that you have a list that you must follow. This process takes time and it takes commitment and discipline and is often very difficult when put into practice. Our society has taught us that we can show our love with money and gifts. Put a big bow around that car and surprise your loved one to show them you really care. But jeopardizing the financial stability of yourself and your family is no way to show love to anyone. We especially get sucked into this with children if we don’t have enough time for them due to work or other commitments. But that’s not love and that’s not the lesson we want to teach the next generation. If you can commit to this exercise, the pay off can be big. I encourage you to set aside some time and complete this exercise now. Don’t wait until Thanksgiving when Black Friday sales have arrived and often feel irresistible. Set aside some time by yourself or with your significant other and get serious about your spending. Stick with the plan so you can start the year off without holiday debt. This can give you the confidence and the momentum to kick off a great 2011 and to work on other financial goals.